The Syngenta Foundation wants to maximize the benefits of international research and development for smallholders in developing countries. Improved crop varieties are a key focus of that R&D, and can greatly contribute to improving food security. However, technology solutions alone are not enough. Customer demand is a vital ingredient for successful businesses. This also applies to the breeding of improved crop varieties for smallholder farmers in developing countries. It is essential for food security that public programs generate more varieties that farmers and their customers want to use. 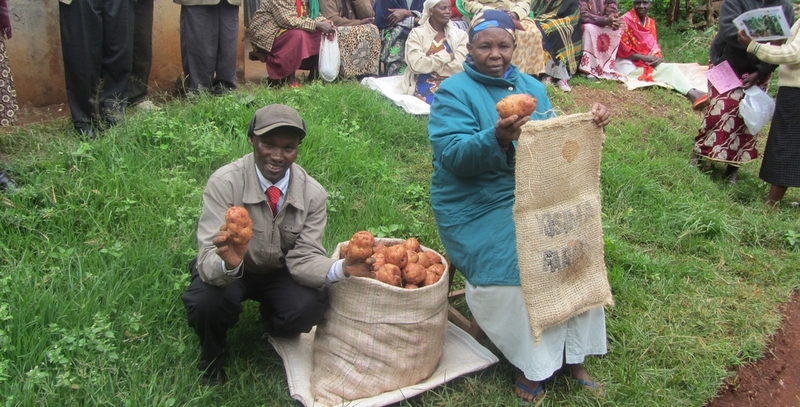 Some government programs include farmer participation in variety development. However, typically the public sector focuses less on demand than private companies do. Program funders often support specific objectives matching the Millennium Development Goals or national policies, such as ‘improving drought tolerance of food staples in Sub-Saharan Africa’. Funds go into, for example, the discovery of new genes, research to understand their function, and incorporation of key beneficial traits into the best local varieties. The emphasis is therefore frequently on technology rather than customer demand. ‘Demand-Led’ plant breeding puts customers at the heart of R&D. It involves users even before the scientific work starts. These ‘users’ are not only farmers but also stakeholders right along the value chain. All information about coming and past meetings. Training materials, learning documents and much more are available. Stories, documents and statistics on how the project is making a difference.